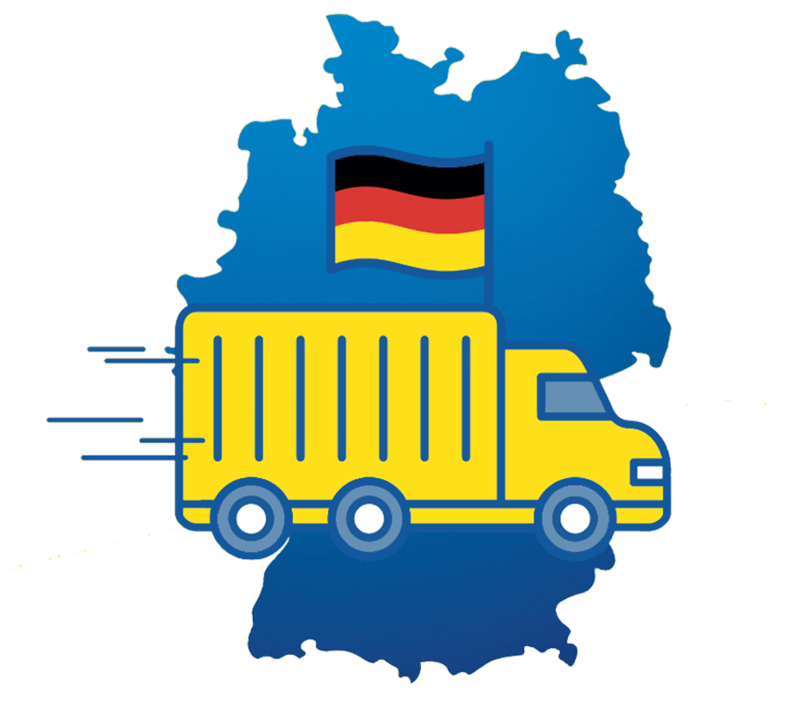 Telepass is the first European operator to be certified in Germany for the European Eletronic Toll Service. THE ROAD TO COMFORT I INCREASINGLY FREE, IN ITALY AND ACROSS THE BORDER. THE ROAD TO COMFORT IS INCREASINGLY FREE, IN ITALY. Seeking a solution to travel smoothly with your heavy goods vehicles? 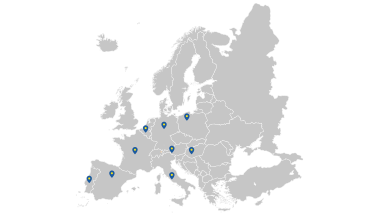 Thanks to Telepass EU Interoperable device, your over 3,5 tons HGV will freely travel across Italy, France, Belgium, Spain, Portugal, Poland and Austria. Cooming soon: Germany, Hungary, Scandinavian countries. 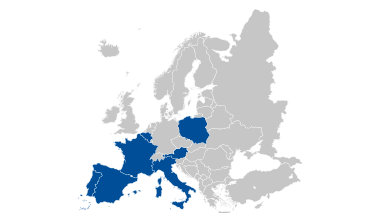 Using a single Telepass device you can pay motorway tolls in 7 different countries: Italy, France, Spain, Portugal, Belgium (Liefkenshoek Tunnel),Poland (Krakow-Katowize segment of route A4) and Austria. Coming soon: Germany, Hungary and Scandinavian countries. In France, in Spain and in Italy your Telepass EU device allows you to automatically pay your parking in designated facilities: the fare will be directly charged on your Telepass account with no extra fee. 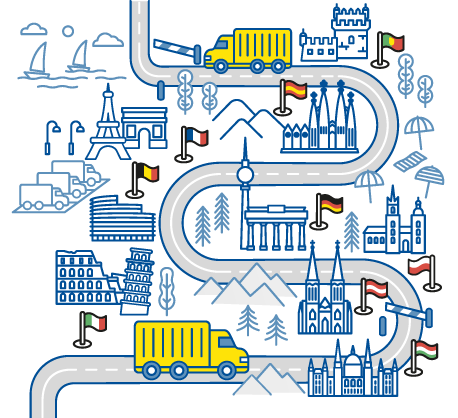 Your freedom of movement goes beyond borders: live all the advantages and the comfort of the services dedicated to truck in 7 different European countries: Italy, France, Spain, Portugal, Belgium, Poland and Austria. Travel on the whole Italian motorway network thanks to Telepass’ efficiency and disover all the services we have designed for over 3,5 tons HGVs. Thanks to Telepass you can get in and out all motorway toll booths without ever stopping. Thanks to Telepass you get in and out all designated parking facilities without ticket. Thanks to Telepass you can access Milan C Area without any hurdle. Thanks to Telepass you can cross the Strait of Messina and avoid waitinglines at boarding. Do you want to overcome new borders with your heavy vehicles? 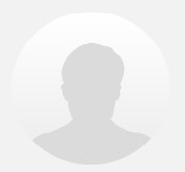 Telepass has developed KMaster service for trucking companies. It offers, thanks to the Telepass SAT device, for vehicles over 3.5 tons, exclusive geolocation and fleet management services and makes you travel freely in Europe. Your freedom of movement goes beyond borders: live the advantages and the comfort of geolocalization and of Telepass services dedicated to truck.